House mice carrying a specific selfish supergene move from one population to another much more frequently than their peers. This finding from a University of Zurich study shows for the first time that a gene of this type can influence animal migratory behavior. It could help in dealing with invasive plagues of mice. Usually the cooperation of genes helps an organism to grow and flourish. But some genes are pursuing a different agenda: Their aim is to propagate themselves by eliminating other genes. One of these selfish supergenes is called the t haplotype. It's a complex of various inherited genes that occurs naturally in house mice. "When it comes to heredity, this supergene gains an unfair advantage over other genes," explains Jan-Niklas Runge, first author of the study and a doctoral candidate in evolutionary biology at the University of Zurich. Any gene should actually have a fifty-fifty chance of being transferred to offspring. But sperm that carry the supergene poison rival sperm of the same animal to increase their probability of fertilization to 90 percent. Similar mechanisms can be found in other organisms such as fruit flies and corn. The scientists believe that the supergene manipulates the mice's behavior in this way to enable it to propagate further and further. 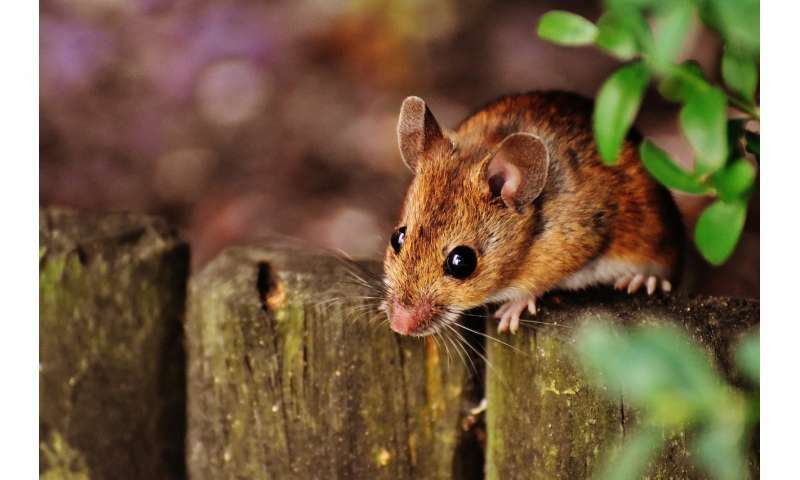 Moreover, this migration probably also ensures that the t haplotype is preserved in the house mice's gene pool: If the supergene gets the upper hand in a population, it can lead to its own eradication. For example, mice that receive two copies of the supergene (from their father and their mother) are no longer viable. Apart from this, supergene sperm have trouble asserting themselves in competition with normal sperm if a female mates with several males during the same ovarian cycle. "This means that large populations with a lot of competition for females that are ready to mate, and populations with a high percentage of t haplotype carriers, are fairly bad for the supergene," explains Runge. "This is probably why carriers of the supergene emigrate and join populations where they have a better chance of propagation." This hunch is confirmed by the study findings: The larger the population, the more pronounced the migratory behavior observed. This would also explain why despite all the handicaps, the supergene has managed to survive in the mice's genetic material for some two million years. The UZH researchers are now working on computer simulations and additional experiments to verify this hypothesis. Biologists in other research groups are already planning to use this supergene to control invasive house mice. If these animals multiply uncontrolled in places where they're not indigenous, they can throw the entire ecosystem out of balance. For this reason researchers want to manipulate the genetic material of these mice to make them infertile. The idea is that the supergene would then help this modification spread within the population as quickly as possible. "Our insights are very important in this context, and could help develop a safe and reliable method to combat invasions of this sort," says Runge.